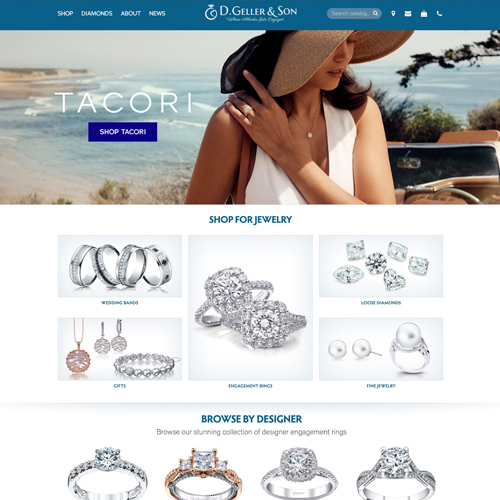 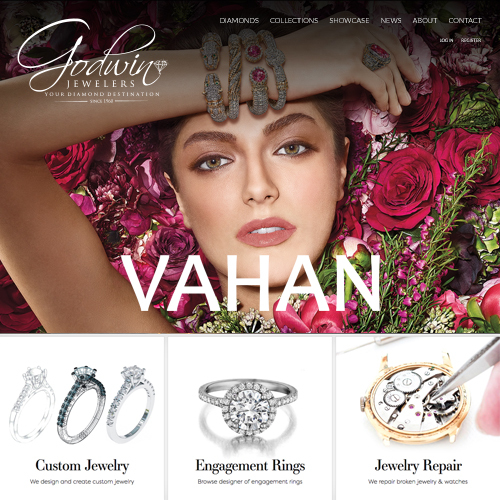 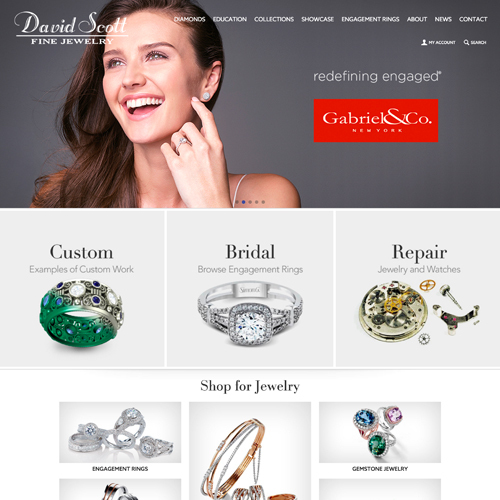 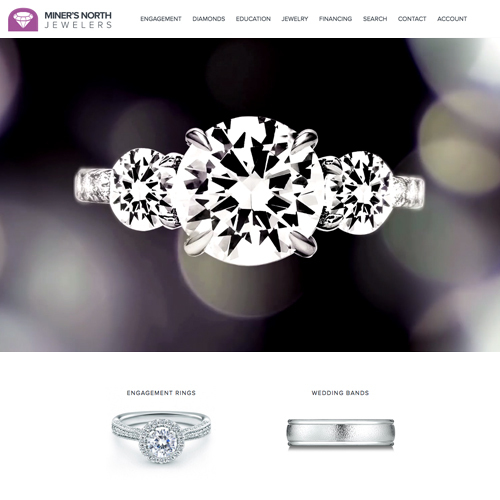 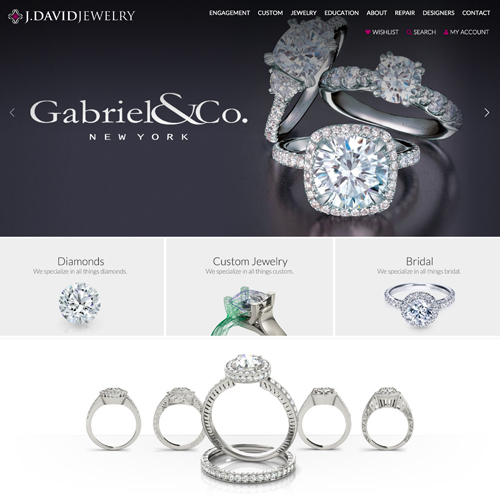 Our previous design for Godwin Jewelers was on a black background, as they wanted a high-contrast look and feel. 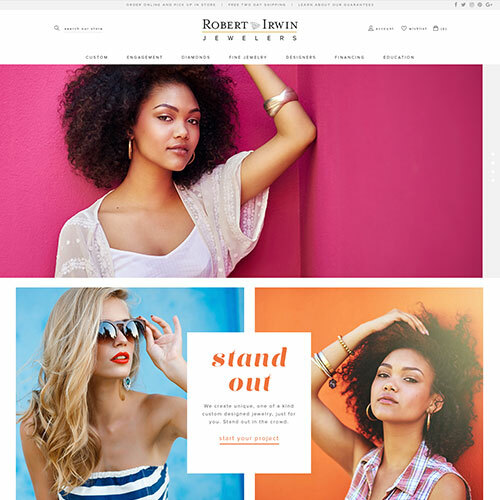 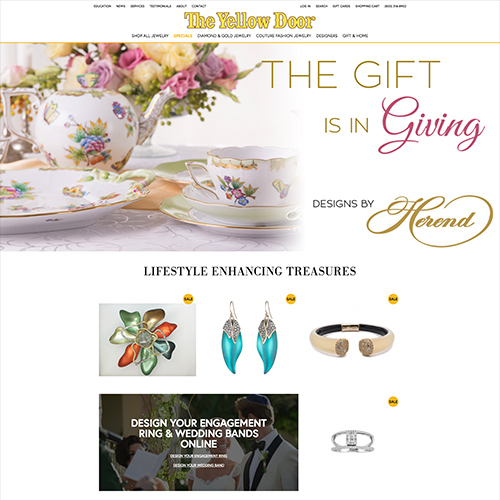 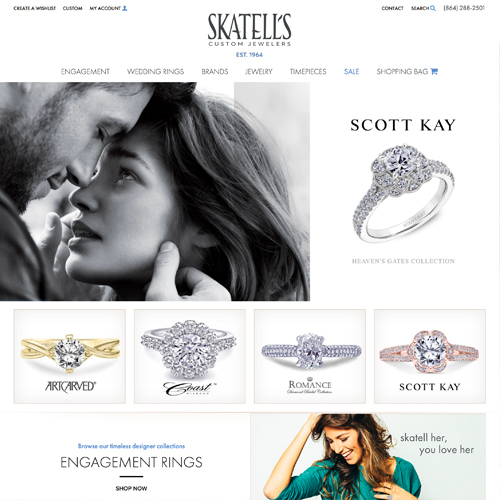 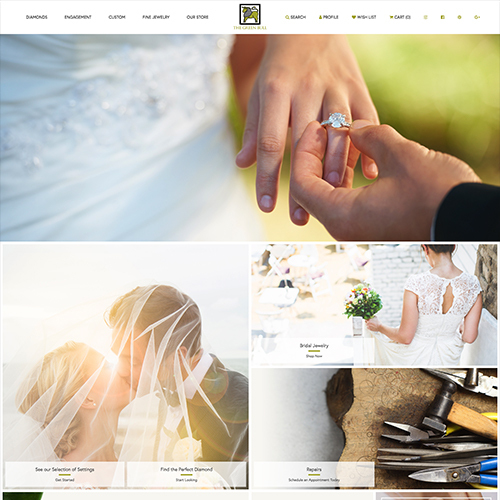 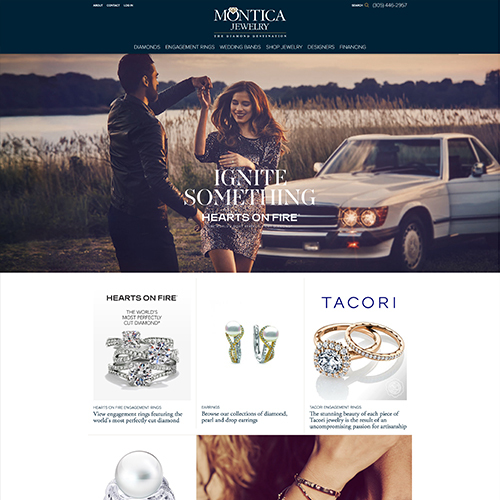 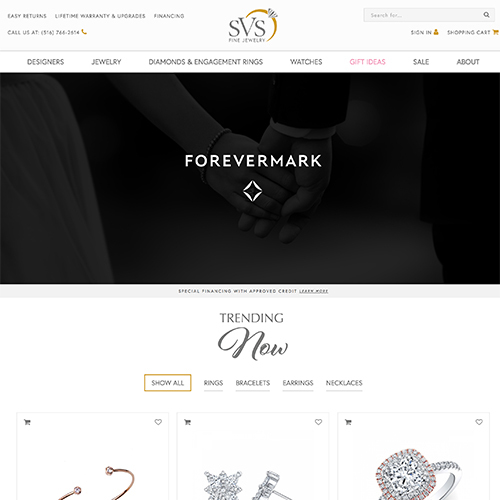 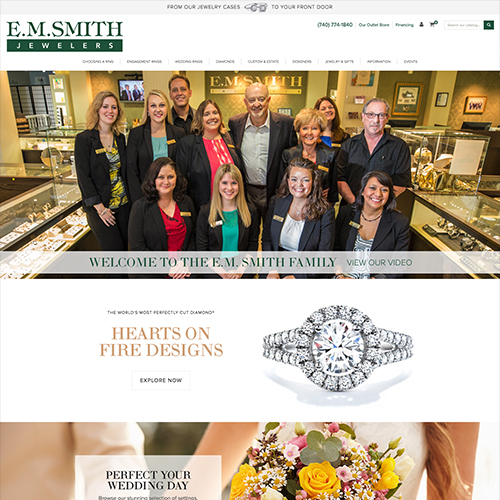 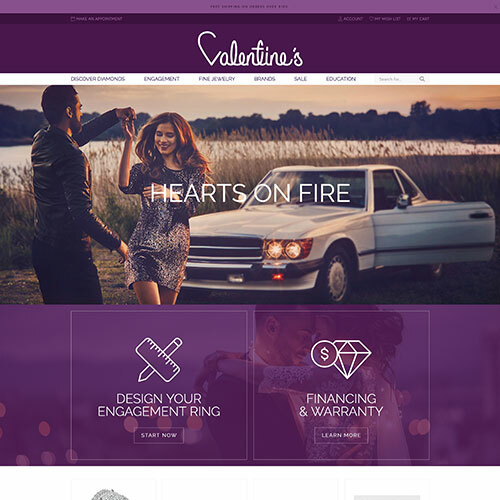 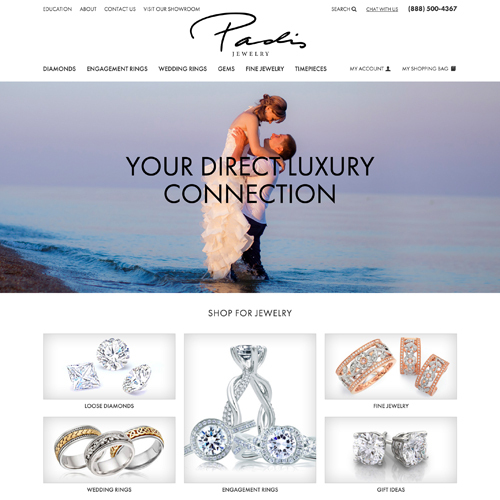 Since trends have changed since their previous website was launched, they wanted their new Premium Website upgrade to be designed on a lighter background, but to have that same "big" look. 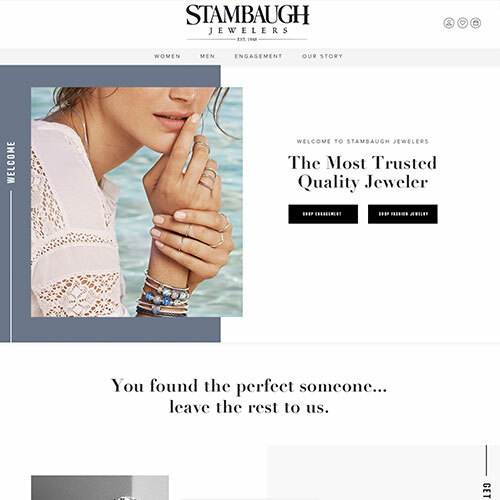 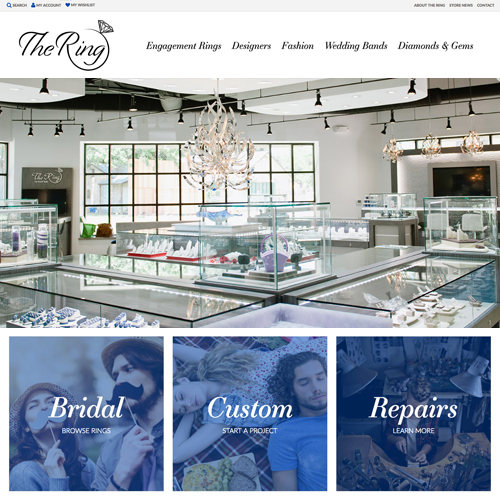 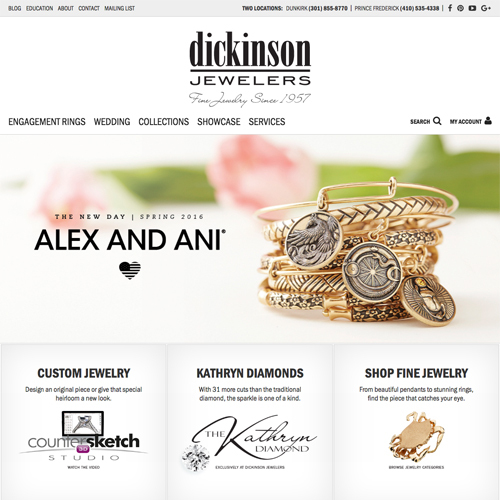 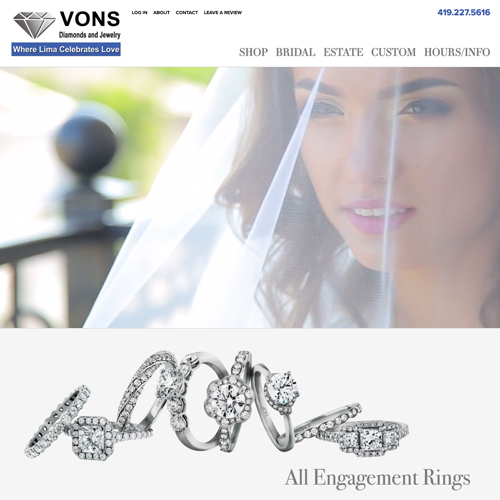 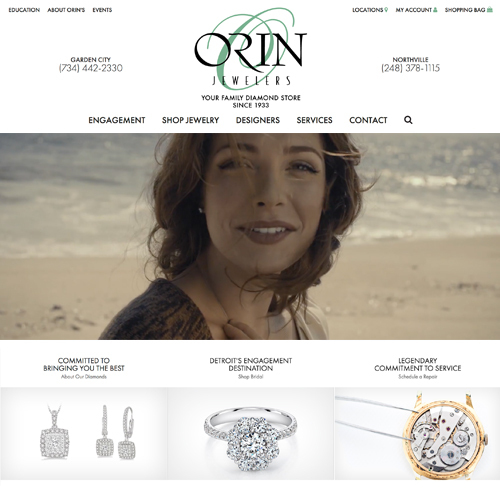 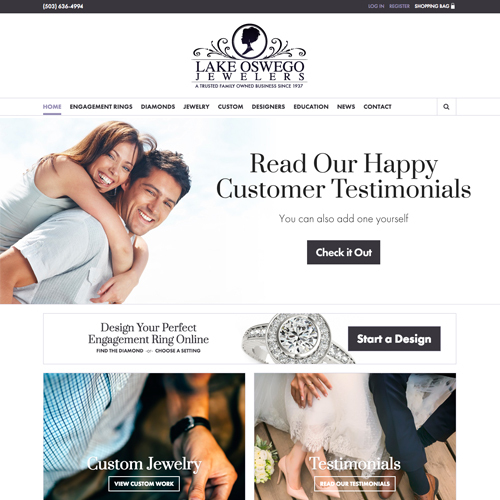 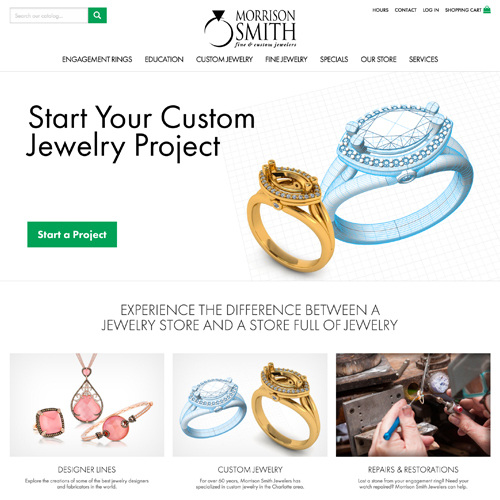 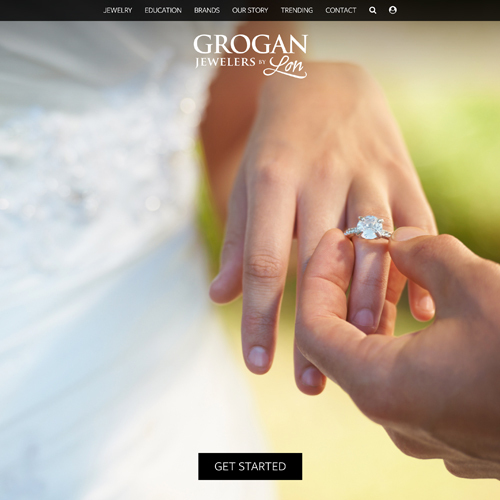 The words they used were fun, youthful, inviting, and professional, and they wanted the reaction of customers to be wow, this is a real jewelry store. 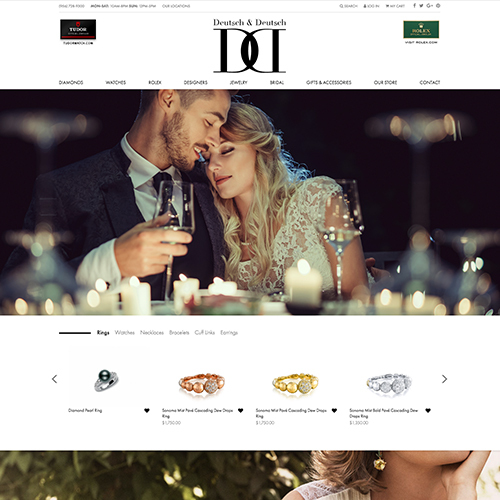 They wanted an ease of navigation, so we designed large widgets on their homepage with clear targets to the most important links on their website. 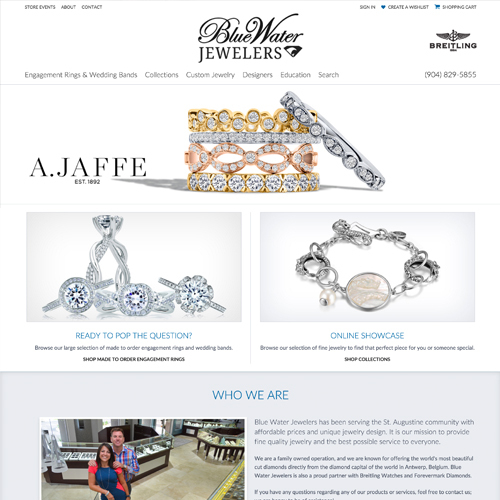 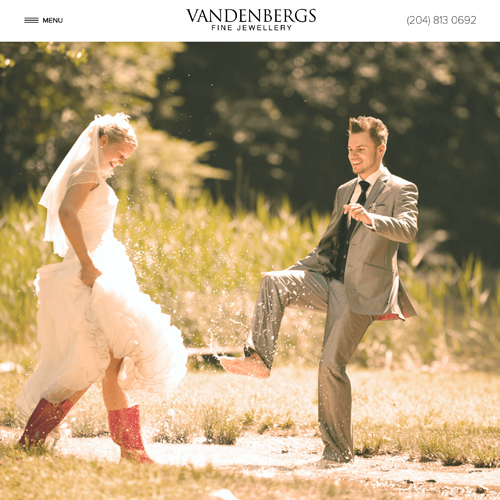 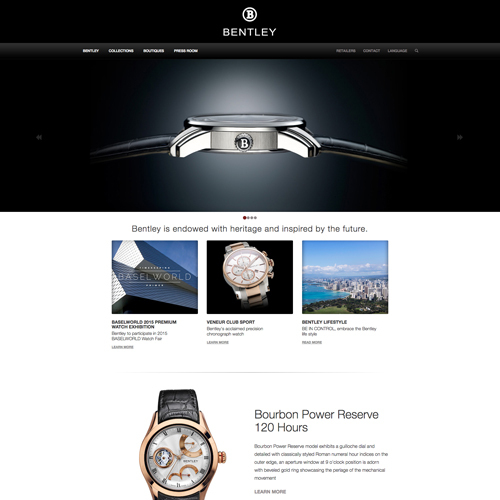 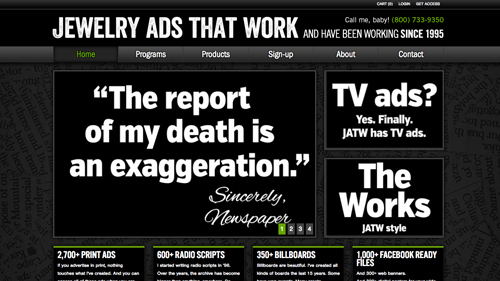 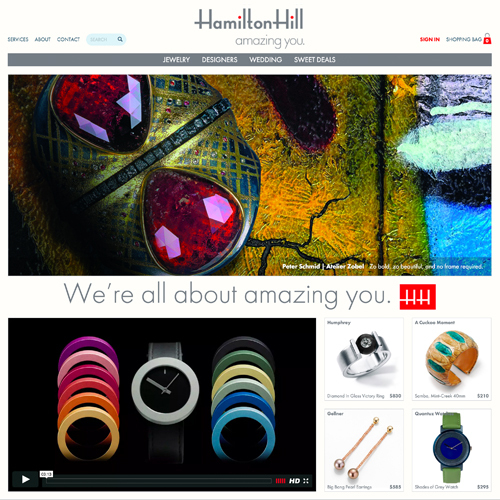 They sent four examples they wanted their new website to emulate, and all four were websites that we designed.